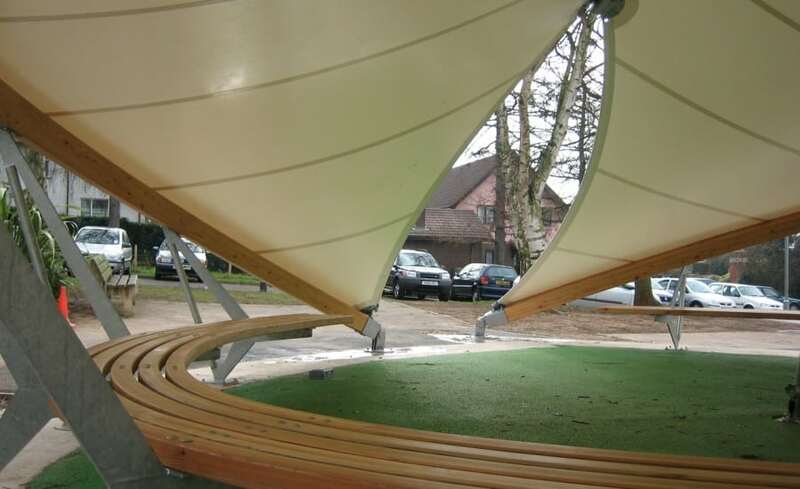 The inside can be brought outside at Elmlea school due to the installation of a covered outdoor classroom. 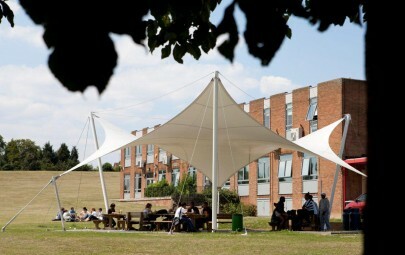 The new area, created by a translucent fabric canopy, provides a glowing, naturally-lit environment intended to create an inspiring place of learning. 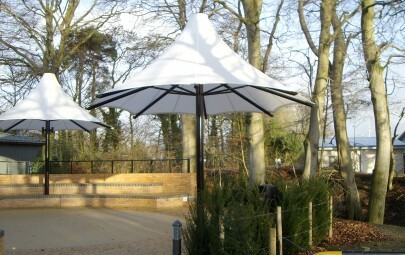 The idea of an external classroom is not so alien to the generations of the past. 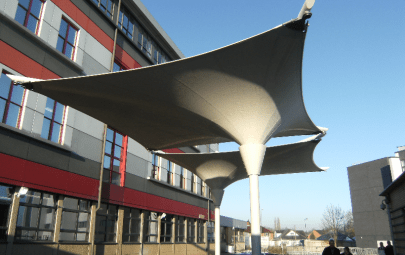 However, modern schools are known for keeping children in the confines of a building for their safety and protection. 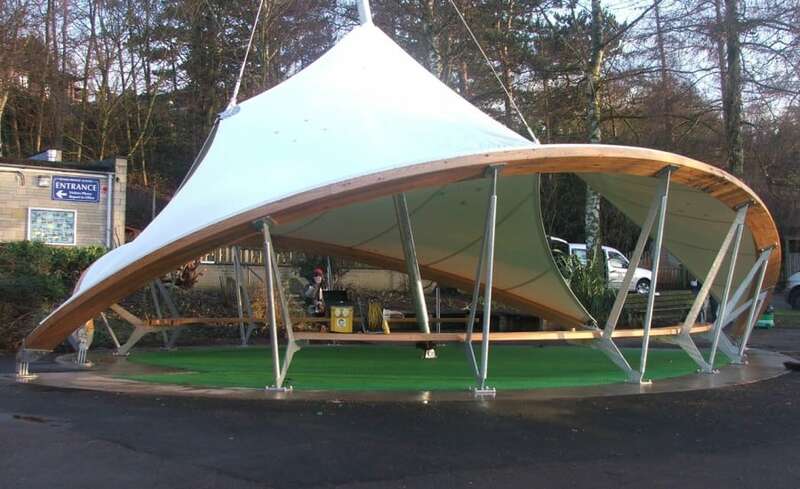 At Elmlea school, however, the clocks were turned back, as Architen Landrell was commissioned to install a tensile fabric structure designed to combine the protection of the school environment with the fresh air and space of the outdoors. 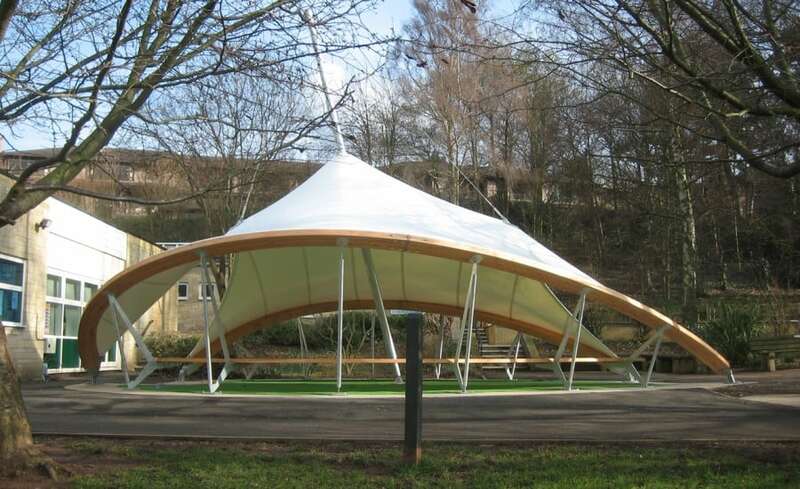 The curved, playful structure, created from durable white PVC coated polyester fabric, is supported by a timber structure created using two inclined structural arches that provide an enclosed space and support curved benches. 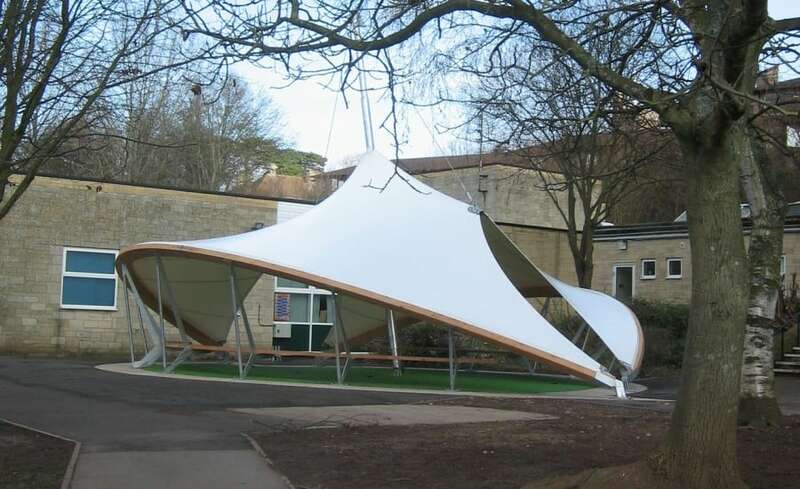 The slightly translucent PVC allows softened light to fill the space, making it an ideal teaching environment.